What is transferability of bill of lading? Can a Bill of Lading be transferred? 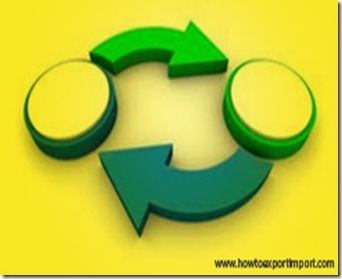 Why does consignee column show “To Order” or ‘To Order of Bank’, Why does consignee column show as ‘to order’ in LC? Yes, Bill of lading is a negotiable instrument and a document of title. As an exporter you should keep in mind that, without original bill of lading, the buyer can not take delivery of your cargo at destination. Once Bill of Lading issued to the shipper by the ship owner or his agent at port of loading, the said original Bill of Lading (normally in triplicate) is submitted to shipper’s bank to send to the overseas buyer (consignee). The foreign buyer, once after receiving the original bill of lading from the bank submit the Original Bill of Lading with the ship owner or his agent, duly endorsed on the back side of original bill of lading. The ship owner or his agent deliver cargo to the consignee only after receiving the original bill of lading duly endorsed. How does transferability take place in Bill of Lading? The shipping company as a carrier of goods delivers cargo to the consignee or consignee’s order. Means, if the bill of lading shows ‘To order’ XYZ bank, the shipping company who carries goods can deliver the goods to the party whom XYZ bank instructs to deliver. This Delivery instruction by XYZ bank has to be given in the form of ‘Delivery Order’ to the carrier. Delivery order can be in separate document or can be written on the back side of original Bill of Lading affixing the rubber stamp of XYZ Bank. Once the ship owner or his agent (carrier of goods) receives the Delivery order to whom the cargo to be delivered from XYZ, the cargo is delivered to the said party. If the consignee has been mentioned a party other than actual buyer, the consignee has to endorse the bill of lading to buyer by signing on back side of bill of lading authorizing the buyer to take delivery of goods. Do you wish to add more information about transferability of Bill of Lading? Write below your experience and knowledge about transferability of bill of lading. ability of bill of lading. Aniket: On 04 March 2016 im regular reader of your blogs. i feel your blogs are the most simplest then others. after reading above blog my concept of negotiable instrument is crystal clear. thank you so much.